The Maria Cristina Falls in Iligan City, Philippines is a popular destination that has been widely mentioned in school books as we were growing up. So, it was indeed a pleasure finally being able to see it in person and bask in its grandeur. Our visit to the falls was our first stop on our Iligan Day Tour. It was a great way to be introduced to one of the reasons why Iligan City is often dubbed as the ‘City of Majestic Waterfalls’. And we were certainly not disappointed. 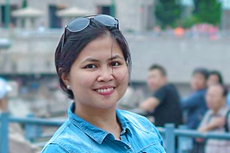 We were only here for a few minutes as it was included on our Iligan Day Tour Itinerary. Despite it being a quick stop, we learned a great deal about the falls and what makes it important to the region. Seeing the waterfalls before our very eyes made me appreciate how travel can make the things we see in textbooks come alive. A truly educational experience indeed! 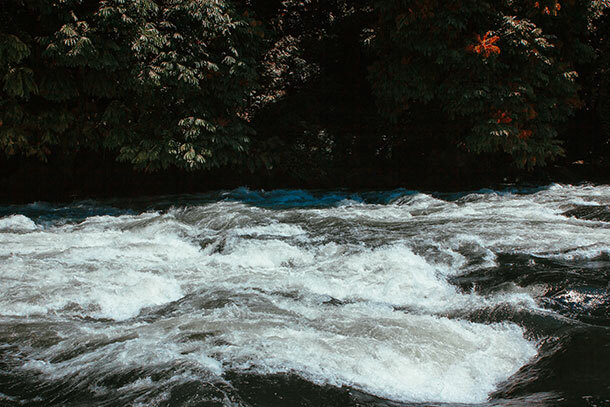 If you visit Iligan City, one of the must-see sites is that of the Maria Cristina Falls. Here’s a list of all you have to know when you visit! Maria Cristina Falls is considered to be one of the tallest waterfalls in the Philippines. It also called as the ‘twin falls’ as the water is separated by a large rock at the waterfall’s brink dividing the water flow. Though it is not often that you see the twin falls as the water is sometimes regulated. We did not see the ‘Twin Falls’ when we visited though. Surrounded by lush greenery and its powerful surges of water, the falls never fails to mesmerize guests who come to visit. Indeed a truly captivating sight! But one thing that you should know about the falls is that it is also one of the main power sources in Mindanao. So it is heavily protected. More about that later! The falls are estimated to be at 320 feet (98 meters high). It is located 9.3 kilometers away southwest of the city proper at the boundaries of Barangays Maria Cristina, Ditucalan, and Buru-un. 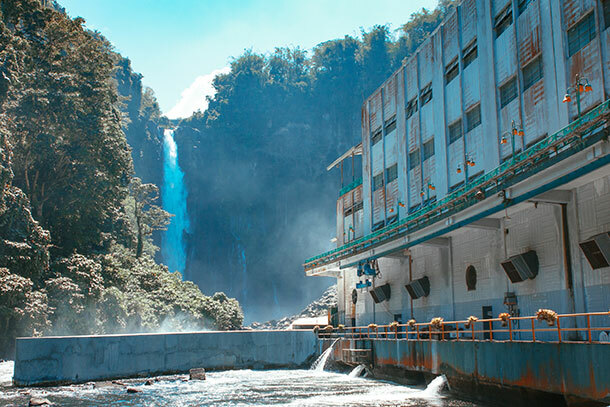 The falls is being maintained by the National Power Corporation and is part of the Mindanao Power Corporation Natures Park. If you are to visit expect tight security and sometimes changing policies due to it being an important site in the region. If you are in Cagayan de Oro, ride the bus to take you to Iligan. In Iligan City, ride a tricycle to the jeep terminal for Buru-un. At the terminal, ride the jeep going to Buru-un and tell the driver to drop you off at the Maria Cristina Falls. The fare is around 12 Php and travel time is less than 20 minutes. Though please double check fare prices as it may change. Despite it being a tourist destination, the falls itself is a restricted area because of its importance to the region. That being said, there’ll be days, weeks and even months wherein access to the falls or just getting near it is not allowed. As a precaution, contact the falls administration first before visiting. There are instances that the entire area is on High Alert. When this happens, the park is basically closed for tourists. If you have a drone and would love some aerial shots, unfortunately, you will not be allowed to fly one because of the park’s regulations and safety protocols. On normal days, you will be passing through the Power Plant on an elevated platform towards the viewing deck for a better viewing experience. As of writing, the park entrance fee is at 50 Php per head. You can always check at the gates for the updated price. For those with no service vehicles, the Nature Park provides shuttle services to take guests to the falls for free. It’s a 5-minute drive punctuated by views of trees on both sides. Be sure to spot monkeys along the road too! Though I am not sure if they are friendly or not. LOL. Aside from viewing the falls, there are several recreational activities that you can do while you visit. Though unlike the Tinago Falls, bathing and swimming in the area are not allowed. The falls is truly a majestic sight to behold. You can spend hours just looking at it and taking in the fresh air. There are picnic areas within the Nature Park where you can sit down and grab a bite. A cafe or restaurant is also available on site for guests who are up for some snacks and refreshments. Spend hours strolling through the park’s Botanical and Zoological Garden during your visit. If you want a more breathtaking view (and some exercise), the Tree Top Canopy Tour is a great experience like no other. Enjoy some adrenaline rush and freedom up in the air by trying out the Nature Park’s Zipline Activity! Red Alert Status is unavoidable at times, especially when there are peace disturbances in the area. If you read through some reviews lately, guests are not allowed inside the premises. Though some habal-habal drivers (which may or may not be accredited, we are not sure) are allowed to get guests/passengers inside for a quick glance of the falls. So to avoid being disappointed, it is better to inquire first before including the falls to your itinerary. You can check it at the NAPOCOR Official Site. 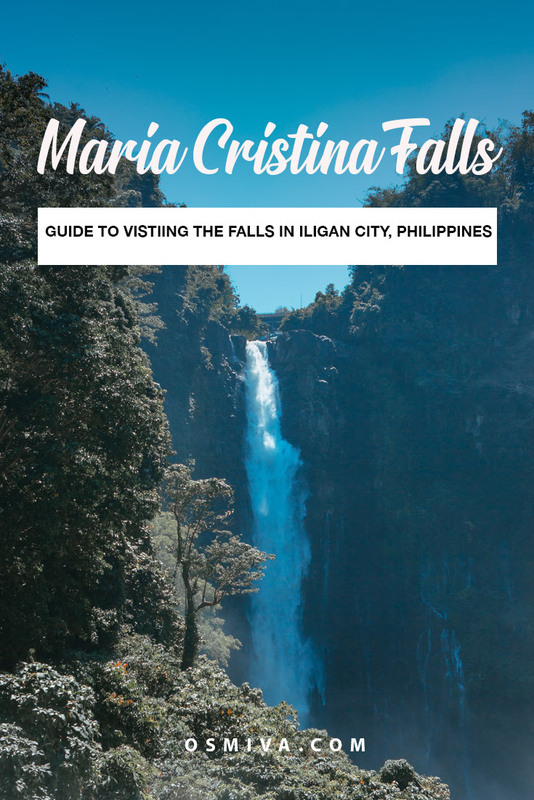 Have you been to Maria Cristina Falls? What was your experience like? Share it us on the comments below! We’d love to hear from you! Interesting that it’s regulated but makes sense with it being the main water source. 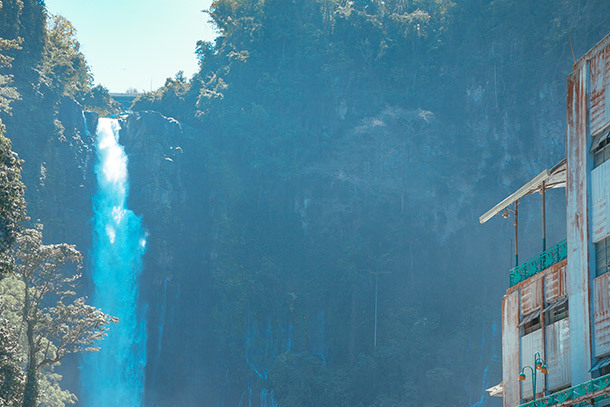 I love waterfalls so I would totally be into seeing Maria Cristina and photographing it! I’m sure you would! Thanks Heather! Beautiful! I’d never heard of these falls before. I would love to try the ziplining or the canopy tour there! I bet it’s incredible. Holy moly! I am embarrassed I do not remember much from school history about this, but you’ve inspired me to do more research. This looks absolutely beautiful – you seemed to have a wonderful experience! The Maria Cristina Falls look absolutely beautiful! Great information about checking before arriving to see if it’s open. Sounds like there are many restricted times in a year – Lucky you seeing the falls firsthand! The Maria Christina Falls look beautiful. I can see why it is such a popular tourist destination. I understand the need for regulating the falls, but it most be disappointment to plan a visit and be turned away. We would enjoy seeing the Botanic and Zoological Gardens too. And, of course, we would love to zipline or take a tree top canopy tour. Just beautiful! When they’re closed, are all of the activities closed as well? The zoo? Zip lining etc? I’ve been to Luzon 4 times but never been here. I would love to go when the kids will be bigger enough. I’ll try to map this from Baguio. Thanks for sharing appreciate all the info! This is very beautiful. I had never heard of them before. Glad I know now!